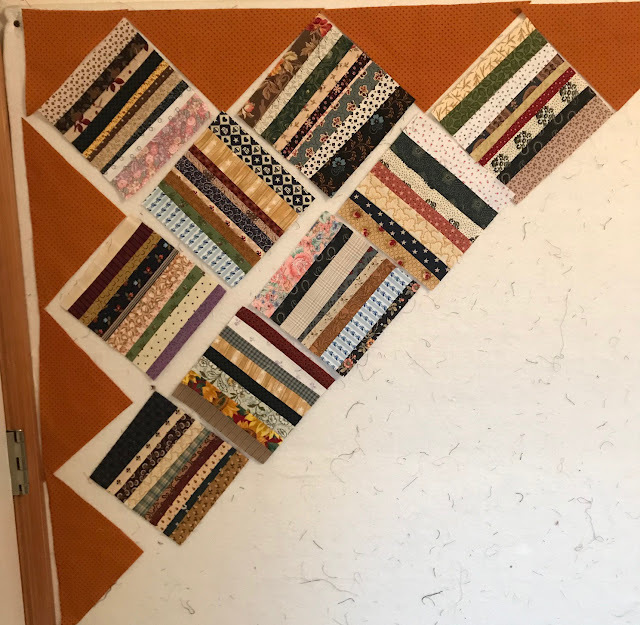 Humble Quilts: Stringalong 2019 Month 1 Linky party! Wow! You are really stringing up a storm! LOVE the cheddar! So exciting! Your strings look fantastic! I'm going to be playing along but don't have a post to link up this month. Maybe next month I will. Oh I Love string quilts!! what fun to see all of these! Your strings are singing...you go girl! Love your two projects and how you've calculating what needs to be done to finish! It's wonderful to see what we can all do with strings and I certainly have enough ideas to keep me busy all year! You'll be making a lot of string blocks! I love both projects. The second one could be made larger and then cut to size [like 14" blocks or 20" lengths]? 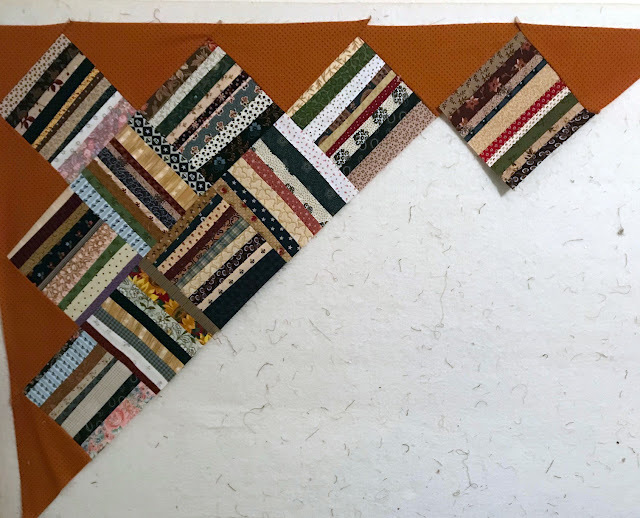 I put links for both my January blog posts about string quilts, let me know if I should take the 2nd one down, pls. These look great, Lori! I do adore the look of strings, just not so much the actual process. So I will enjoy the show! I especially like the top set of blocks with the slash of red down the center. Interesting to see what the quilters have chosen to use for their blocks made with strings. I did nothing as I don't have much in the line of strings. But I am considering cutting some strips off of some of my stash pieces. You are on a roll with these two beautiful projects. So many strings, so little time, but once they are started they become very addictive, lol! 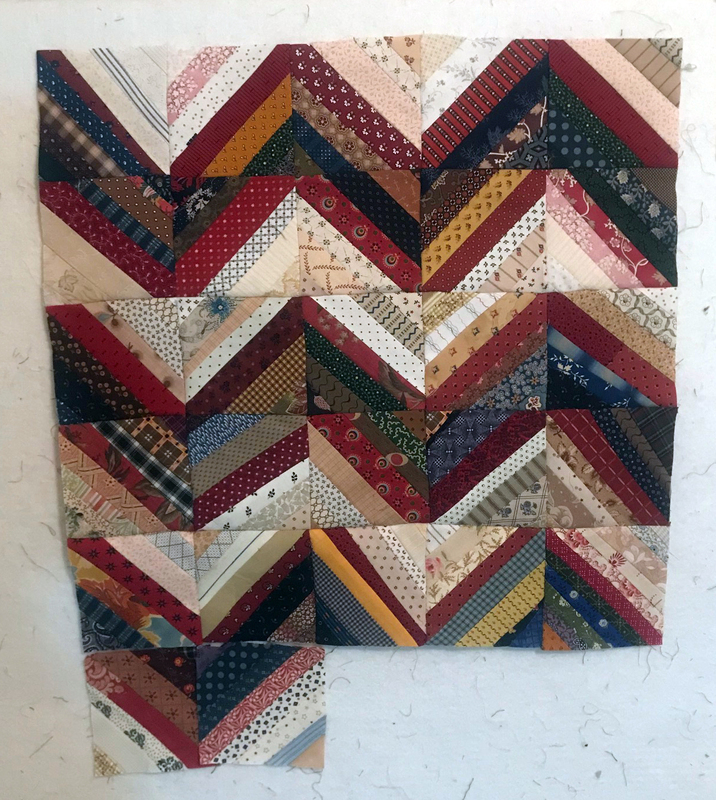 Your zig-zag string blocks will turn into a really pretty quilt! 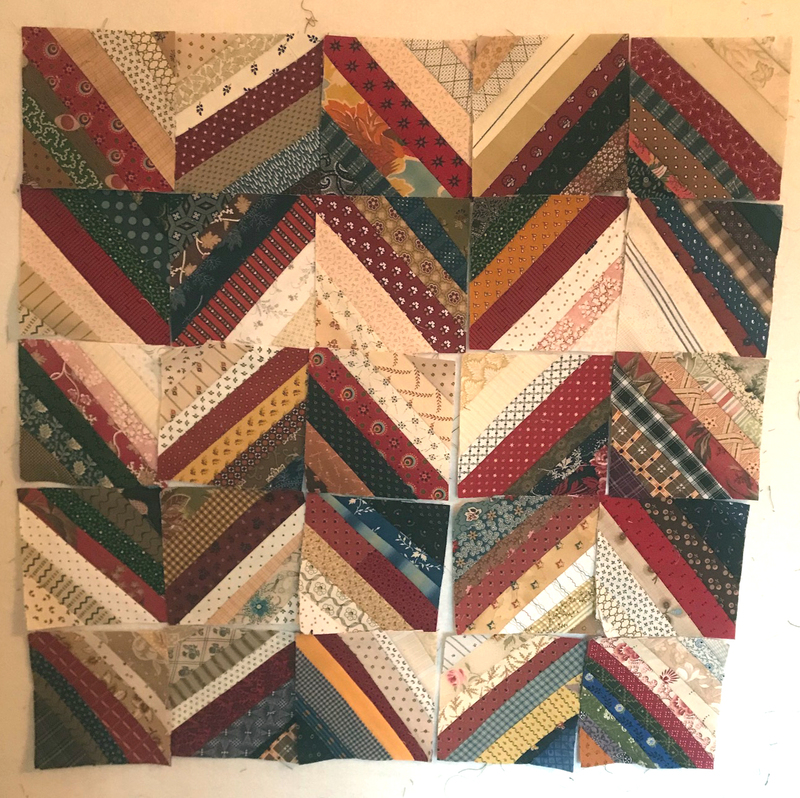 I enjoyed seeing the pretty quilt other are making too! ---"Love"
I love your dark cheddar for the setting. I've made a start and I've used muslin foundations. I'm going to be moving so I may fall behind but will enjoy watching everyone's progress! Everyone's pictures look great. I have jumped in on this one yet. I did manage to finish 3 large quilts and a baby quilt this month. 3 were UFOs. That's why I can't take on the strings yet. I'll be following your progress. So much inspiration! Thanks for hosting such a fun event. This is certainly a fun way to get a project done. This is so fun Lori! I love what you have posted! I finished my string quilt and it is posted on Instagram (Patchalot) and Facebook. Feel free to post it if you like. I am excited to have finished it. It is now at the quilters ! Now you have given me ideas for more! LOVE your strings! Beautiful music being made.